Elizabeth P. Brown, 101, of West Palm Beach, passed away on September 17, 2018, in her residence. She was born September 9, 1917, in Denmark, TN., to the late Sam and Delia Puckett . She attended Columbia Institute in Columbia, TN, where she graduated as a beautician in 1938. She was preceded in death by her husband, James M. Brown; three sisters, Wilma West, Esther Russell, Ethel Staggs; one brother, Bill Puckett; two nephews, Jim West and Billie Brown Joyner, and is survived by two nieces, Darlliene Haney, Rookie Corley; two nephews, Clyde Puckett and Sonny West, and several great-nieces and great-nephews. Visitation will be from 2:00 to 3:00PM followed by a 3:00 PM Funeral service at the Northwood United Methodist Church, 4015 Spruce Avenue, West Palm Beach, 33407, where she has been a member since 1959. Committal services and burial will be in the Marvin Chapel Cemetery, Brownsville, TN. The family would like to express special thanks to special friends and caregivers, Donna Durham, Tasha Fritz, Jeffrey Durham, and Marianna Pastranna. We would also like to thank Dr. Sohn and Trustbridge Hospice for the special care they provided. 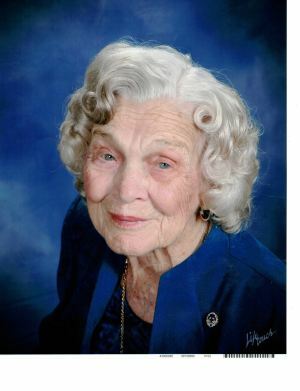 Mrs. Brown was a strong woman of faith and cherished by her family.